Ori and the Blind Forest, an Xbox and PC exclusive, is one of the best exploratory platforming games ever made. Read Kidzworlds review! When Microsoft and developer Moon Studios revealed Ori and the Blind Forest for the first time during E3 2014, it caught everyone's attention. It was gorgeous, with an art style that would do Hayao Miyazaki (Spirited Away & Ponyo) proud, and promised an emotional journey to boot. I was able to go hands on with it briefly during E3 and enjoyed what I played, but I wasn't prepared for just how well it would all come together upon release. I can now happily say, Ori and the Blind Forest is one of the best exploratory platforming games I have ever played. Every facet of this game is put together with such love and care. You would be forgiven to think Ori and the Blind Forest was put together by a major team with dozens of artists and designers but surprised to find out it wasn't. it's astonishing to think that only a handful of people were on the development team and on top of that, are all scattered around the world. What Moon Studios has made with Ori and the Blind Forest is nothing short of a masterpiece of the genre. Inspired by games like Metroid, Super Mario, Donkey Kong, The Legend of Zelda and more, Ori wears its inspirations proudly on its sleeve. The story is a somber but ultimately satisfying one. 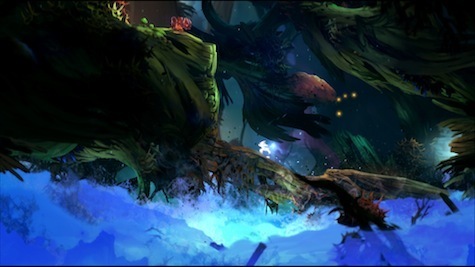 Fans of Pixar's animated film "Up", know how brilliant the opening moments of that movie are and Ori and the Blind Forest captures the same initial tone, bringing out genuine emotions within minutes of starting the game. You play as a Forest Spirit named Ori who embarks on a bit of a coming-of-age story after his adoptive mother, Naru, passes away during an event which destroys the life force of the forest. 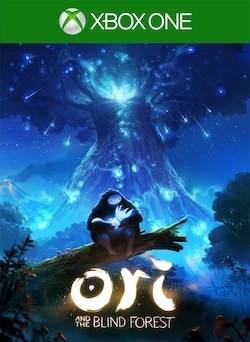 With no reason to stick around, Ori sets out alone in search of a new purpose in life and along the way meets an unusual guide, discovers his true origins, comes face to face with an intimidating enemy and is ultimately tasked with saving the land.The story is told through atmospheric, wonderfully staged cut scenes and some periodic narration. If there's one thing that stands out right from the get-go, it's the stunning graphics. 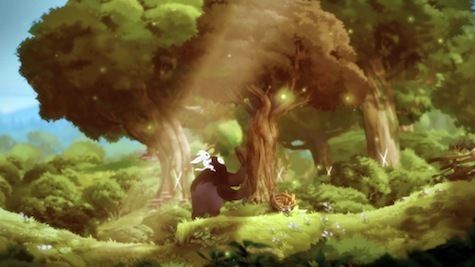 Ori and the Blind Forest is absolutely beautiful. Every corner of the large, interconnected world is ripe with little details and the animation is some of the silkiest in the business. The way Ori leaps, flips and scrambles up walls is nothing short of mesmerizing. The only 2D platformers that can even come close to comparing visually as of this writing are the recent Rayman games from Ubisoft. I was in awe with every new area I explored and oh man, will you be doing a lot of exploring. I mentioned that Metroid had some influence on Ori and that comes in the way of level design and character progression. 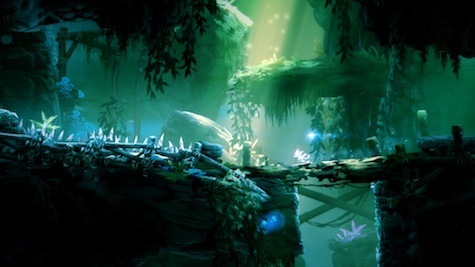 In the beginning, Ori can only jump but as you progress through the game, you'll find new abilities including double jumps, wall climbs and more. 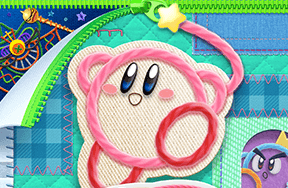 These new abilities allow you to access previously unreachable areas and every ability will need to be used together in order to best some obstacles. You'll also unlock upgrades to your abilities which add power to your attacks or allow for less energy to be used when creating "Soul Links" which are your saves. Yes, you must remember to manually save in Ori and the Blind Forest which does indeed use up your resources. If you forget to save after a tough spot, you'll have to redo it. 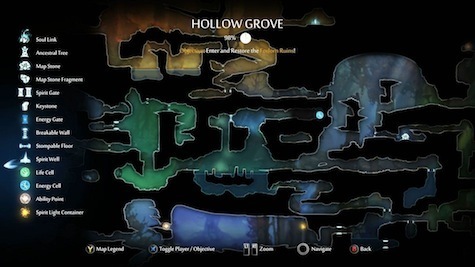 There's a lot of backtracking in Ori but thankfully there is a great map to help you. That is, if you manage to find the missing map stones needed to reveal the portions hidden in shadow. Exploring the big, gorgeous world is a must if you want to make things easier for yourself down the line. 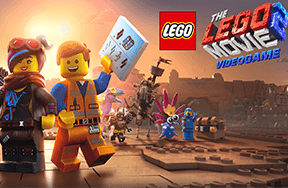 Luckily, the pixel-perfect gameplay makes navigating the the world an absolute joy, even as you revisit areas numerous times. Ori plays as good as you could ever imagine. Moon Studios clearly knows the importance of tight controls when developing a platformer that will test your reflexes and tested you will be, mark my words. Ori and the Blind Forest is challenging while never becoming frustrating though. After completing the game in roughly 11 hours, my stats showed I finished with a 91% completion total... and 469 deaths! Yes, you read that right. I died 469 times by the time the credits had rolled. There are a couple sections of this game where you'll find yourself racing against an unstoppable force. The first of such areas has you climbing up a hollowed tree that is flooding with water. You have to make it through these sequences in one go. If you die right near the end, too bad, you'll have to start from the beginning. Like I said though, the gameplay is so fun, so pixel perfect that I was never throwing my controller in a fit. If I died, it was usually my own fault, with no blame laid on the controls. I've embedded the aforementioned tree climb below for you to watch as a little taste of these sections in action. Jaw dropping gorgeous visuals with silky smooth, pixel perfect gameplay and a story that pulls at the heart strings, all wrapped in a beautiful musical score. Ori and the Blind Forest is a masterpiece of the genre. Every fan of exploratory platformers that offer a challenge owe it to themselves to play this game. You can find it in the digital stores for only $19.99. Also available on Steam and coming later this year to Xbox 360. Are you up for the challenge? Will you be playing Ori and the Blind Forest? Which Console Do You Want The Most?